The demo is a Java applet that shows some applications of steerable filters. 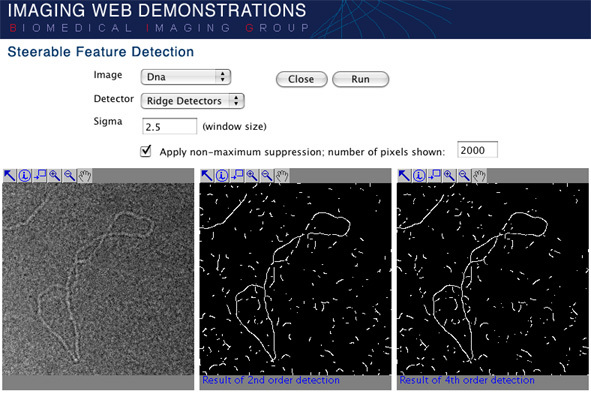 Its purpose is to give a basic demonstration of feature detection using steerable detectors. In the applet, filtering is only possible with 1st, 2nd, 3rd, and 4th order detectors. The more complex 5th order detectors are available only in the full downloadable version. • Choose a detector (Edge or Ridge).